Weeeeee!!! 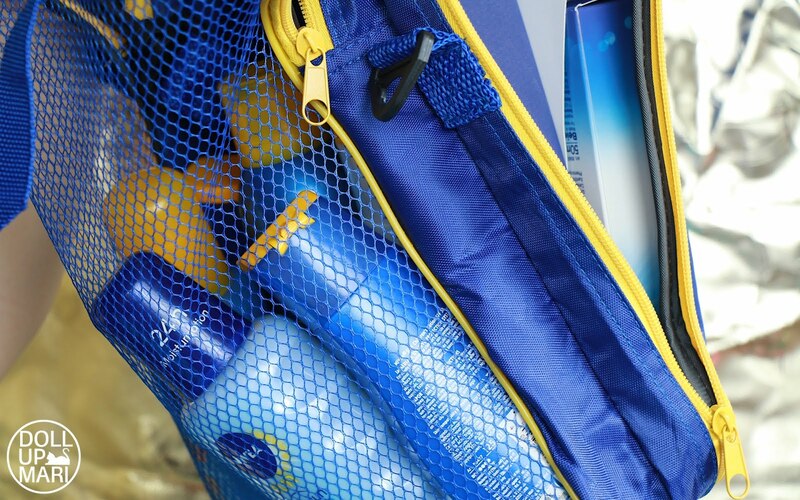 The sunscreen obsessed person in me was so happy to have received this whole bag of sun care products from Nivea! I have my faith and trust in Nivea because I put it to the test when I took swimming as my PE in school awhile back. UP's pool has no roofing, and my classes were at 8-9AM, Tuesdays and Thursdays, which is why it was relatively hot already. Only the 7-8AM class didn't experience the heat of the sun because perhaps the times have changed due to ozone layer depletion. 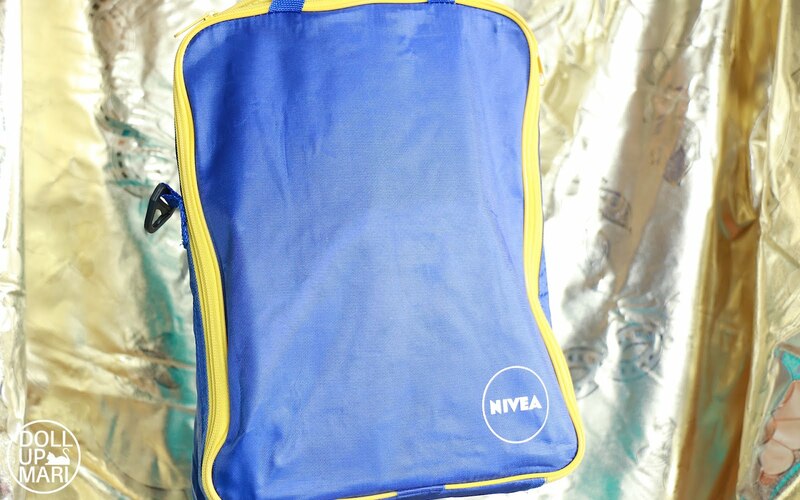 I used Nivea face fluid before each class, and at the time I used a different brand on my body. Lo and behold after almost four months of swimming, my face and neck did not darken while on the other hand my body did (I even ne,eded to use papaya soap for like half a year to even it out!). This is why I got so excited to get this bag of products as I really use their stuff! They were like 'oh please share how you spend your summer with these' and I'm like K. I have school so I'm in school for the 'summer,' but I actually think that that actually makes even sun care more important. 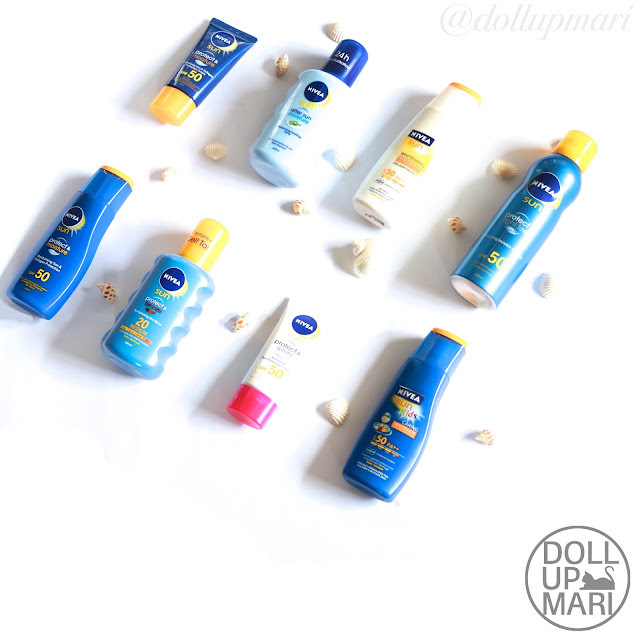 I've always believed that sun care is not a summer affair, it's a concerted year long effort because, well, the sun shines all year round. And it's also because we are do so many activities not often realizing how much sun exposure we're getting. I walk in school so much every day, and I walk under the sun, so it's even much more important to protect myself everyday. So this is the bag that they sent. I thought that when they said sun products they'd send me one tube of sunscreen or one new product. 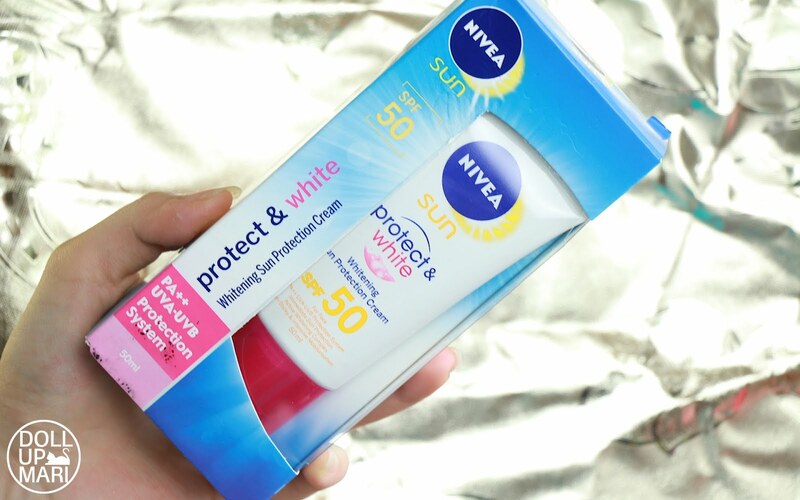 Nivea always has new sun products, so I thought it must be the new product for this summer. But to my surprise, a heavy bag arrived! This is the whoooooole bag. It may look small here, but it's like long bond paper size in real life. And so here are the products that they sent! For one, they sent me three bottles of lotion. 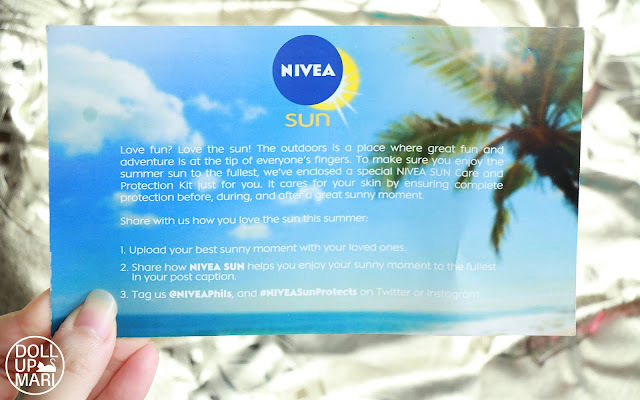 This is their Nivea Sun Whitening Collagen Protect sunscreen. 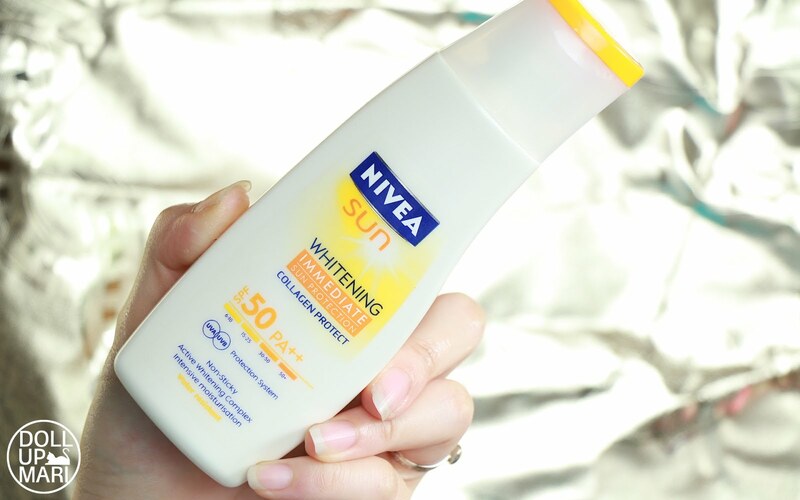 This smells like the typical Nivea creamy floral fragrance with a touch of sunscreen scent due to titanium dioxide. It feels lightweight, and as far as my day went using it, it stayed on the whole afternoon and it was true to its promise of not being sticky. 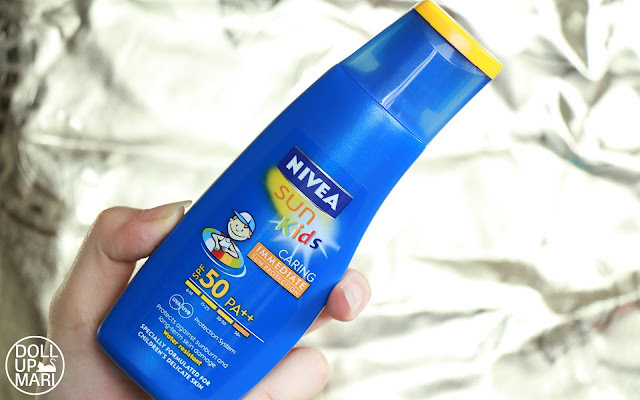 Amusingly, they now have a Nivea Sun Kids lotion! 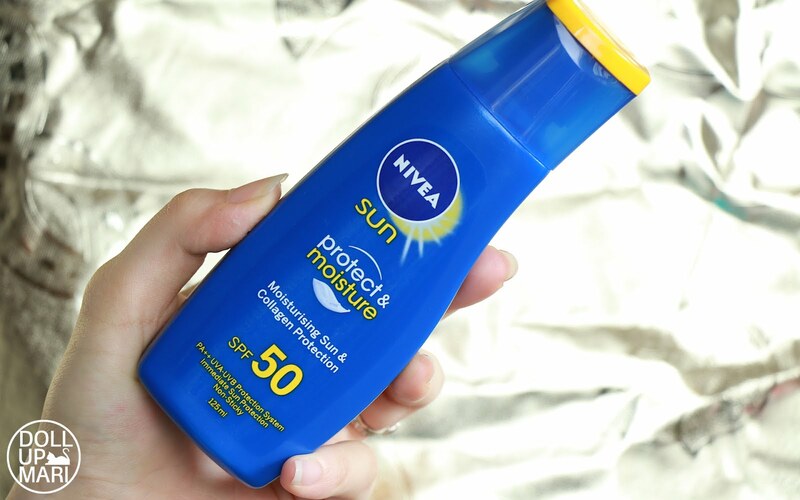 This is also SPF50, but it smells Nivea floral with a cool touch of aloe smell and a woody, star anise fragrance. This is so amusing to me because I was expecting that it'd be tuttu frutti scent or strawberry or banana scent. But it is noticeably much lighter than the other adult lotions. 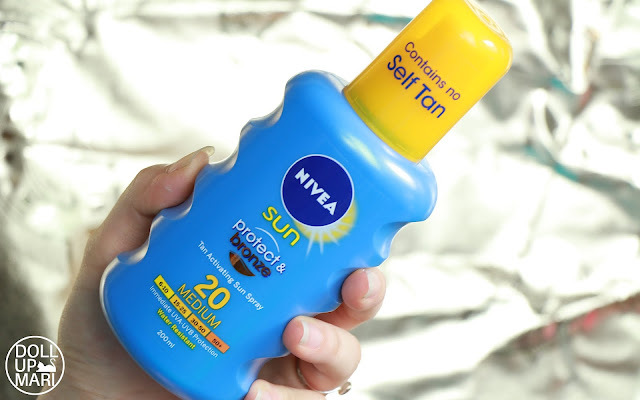 The other sunscreen lotions feel light in general and not sticky, but this feels even much lighter. The formulation is milky and a little bit runnier. I guess this is because kids can get very agitated by thicker lotion formulae. It says that it's here for children's delicate skin so I guess that's also why it feels lighter. This is another sunscreen lotion for adults. This is the protect and moisture variant. Relative to the whitening variant this doesn't feel a lot different when it comes to the texture, the lightness of feel, and fragrance. Though I have yet to put this on a road test on drier patches of skin like on the knees and elbows, or perhaps try this when the weather is drier, so that I can determine how different this is relative to the whitening variant in terms of moisture. Yet another good pick for kids is their Nivea Sun protect and light feel refreshing invisible sun mist. 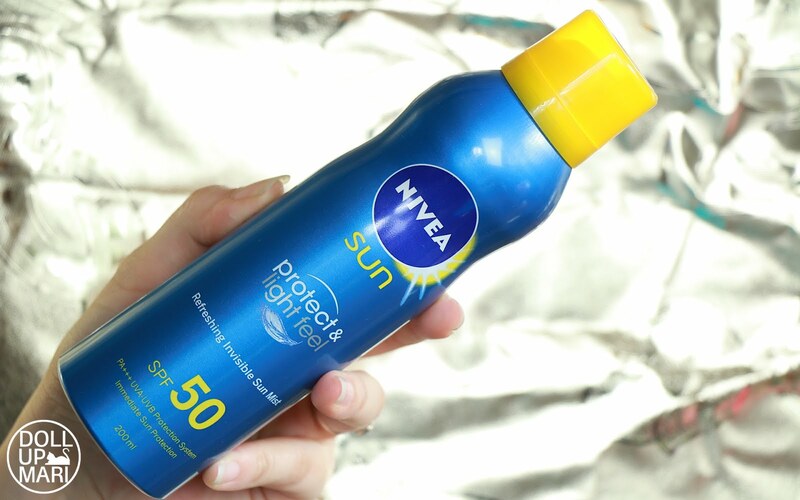 I was excited about this product because I think that it goes on so thinly that you can trust this for extreme sports and sweat-producing events for a comfortable, super lightweight coverage. This is so much lighter than the lotions, so there really is a difference between getting this or the lotions. I'm just not sure as to how well this may fare in airplanes given that it's an aerosol can, but for day trips, I think this is a good pick. This is actually also be a good pick for daily usage because for some reason every summer feels so much hotter than the previous summer. 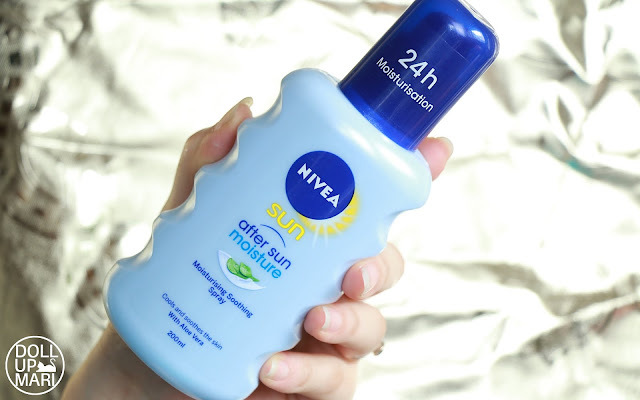 The other amusing product they sent is this bottle of Nivea Sun after sun moisture moisturizing soothing spray. This is like a super dilute lotion, and it feels cool and soothing as it dries. I guess they made this because there are a lot of people reaching out for aloe vera gel or the real plant to soothe a sunburn. And probably also because there are a lot of people who come here thinking that our sun is just the same as their sun. Like it's just one sun right? But some tourists kind of miss the notion that being on the equator means that we're closer to the sun, so the rays here really are stronger. So this is the savior for those tourists who probably forgot about the earth's tilt. And perhaps it's also for the guys who hate sunscreen lotion, not use it, and regret the decision afterwards. This is also another amusing product as this is their protect and bronze spray. This smells like cocoa and caramel hee hee. I have never used a tanning product before, and I don't really use any, so this will be something I'd probably want to use indoors for massages and moisturization because it smells so nice. What comes out of the spray is a lotion like product but once it is blended in it feels like a light dry oil. So this may come in handy for massage. 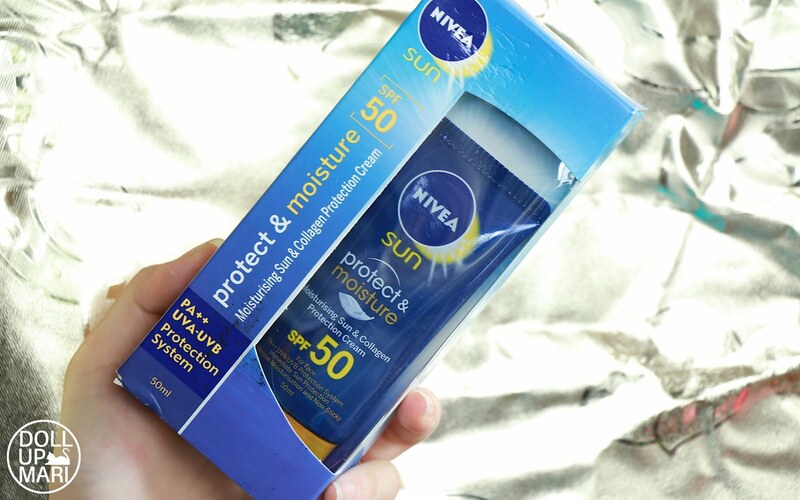 Last two products are their Nivea face fluid tubes! They sent me the whitening variant and the protect and moisture variant. I am excited to see how these will fare relative to the bottle of face fluid I've used up because I bought that bottle so long ago and they must've reformulated or something by now. These were still sealed so I didn't want to use them yet hee hee hee. And yes this is the card that they sent. I will be sure to experience the summer time to the fullest as I need these products a lot, even if I don't really get to "summer" because I'm in school the whole time. So yaaaaay, that's it for this post! Stay safe from the sun this summer you people.